This is a book about dreams, visions, prophecies and the gifts given to us by the Holy Spirit to change our hearts, and together with us, the world around us. How to use the gifts of the Holy Spirit we received when we were confirmed. 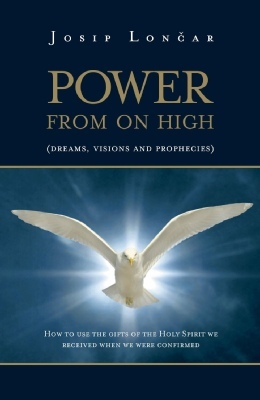 The power from on high (the power of the Holy Spirit) which we receive at the sacrament of confirmation, and which is so powerful that it can change the human heart, acts in completely unexpected ways: through dreams, visions and prophecies. There is almost no one who doesn’t dream, many people have visions, but also we often have the impression that God is speaking to us through other people. The Bible is full of dreams, visions and prophecies… This is a book which brings together forever the power of the Holy Spirit with dreams, prophecies and visions!